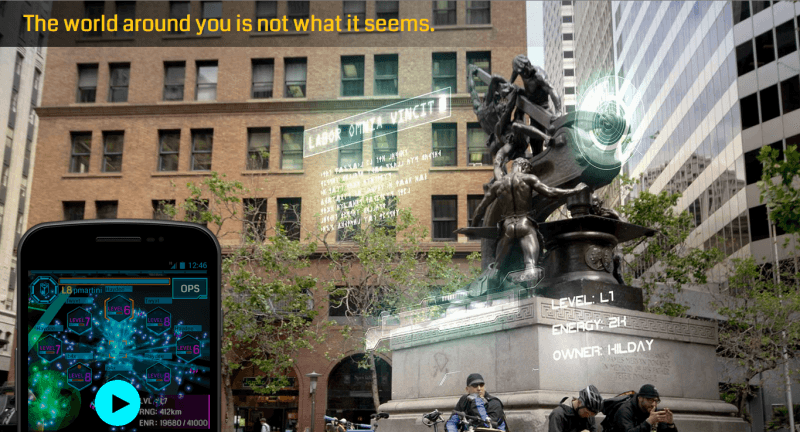 Ingress is an augmented reality game developed by Google's in-house company Niantic Labs. The game, which has players visiting real world locations, was once only available to Android users but has now launched on iPhone, iPad and iPod touch. Ingress asks players to choose from one of two in-game factions, the Enlightened or the Resistance, who are in a struggle to take control over a mysterious new energy force. Following in game data, players can visit real world locations in order to claim more territory and energy for their faction using various in-game items and technologies. The game is both known for its popularity, bringing groups of people together (sometimes in the hundreds) in real world locations, but also for its unique and deeply integrated free-to-play model. As opposed to your typical mobile game ads, other companies can pay to be featured in the game world as places of interest for players. This is designed to drive foot traffic to brick and mortar storefronts as opposed to online retail sites. Even though Google's own app store saw about 45% more downloads than Apple's in the first quarter of 2014, bringing the title to iOS only stands to widen the game's potential user base. Google Play saw a 2.5% increase in dveloper revenue compared to the year prior in Q1 2014 and Apple's App Store brought 85% more during the same period where Ingress is now availble as a free download.